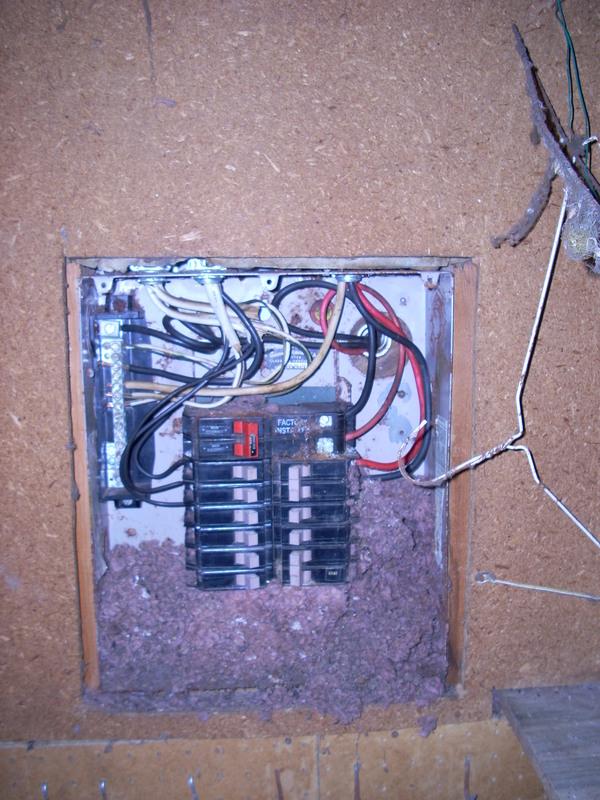 When is the last time you have or an electrician looked inside your electrical Panel? It’s a good idea to check inside your electrical panel every few years. You never know what may be living inside of it. Also with the cover off you can check all the connections and make sure the wires are tight under the set screws. 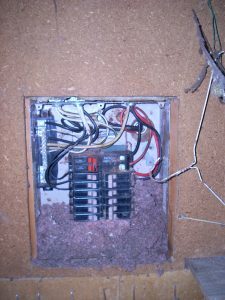 Doing so will eliminate headaches of a service call down the road for a circuit not working. Rats nest in shop electrical panel.